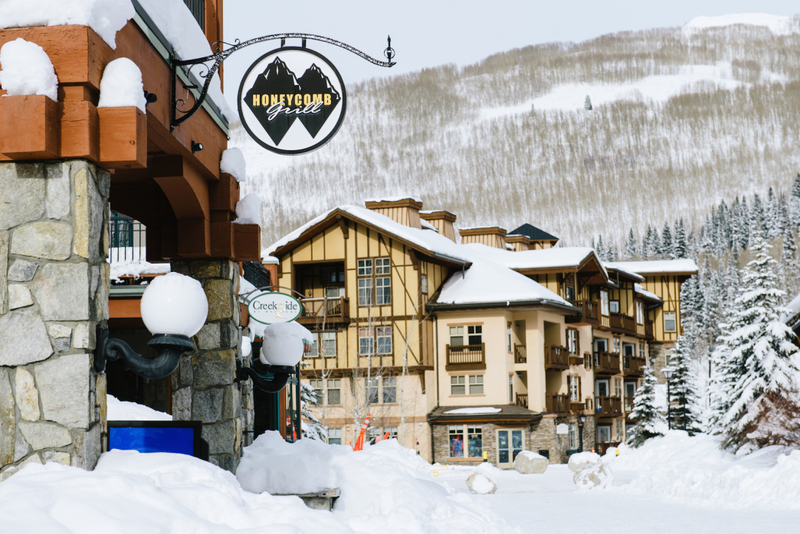 Do yourself a favor and park at the Solitude Village when you start your ski day. It poises you to glide right through the best dining and drinking options at the resort on your way back to your car. Most day skiers park at the lower (first) parking lot, Moonbeam, which is fine if your lunch requirements are simple and you have a pack of kiddos to put in ski school. But if you want to really cruise both the mountain and its culinary goods, drive a tad farther to the upper Village parking lot, which is small but usually has spots available. 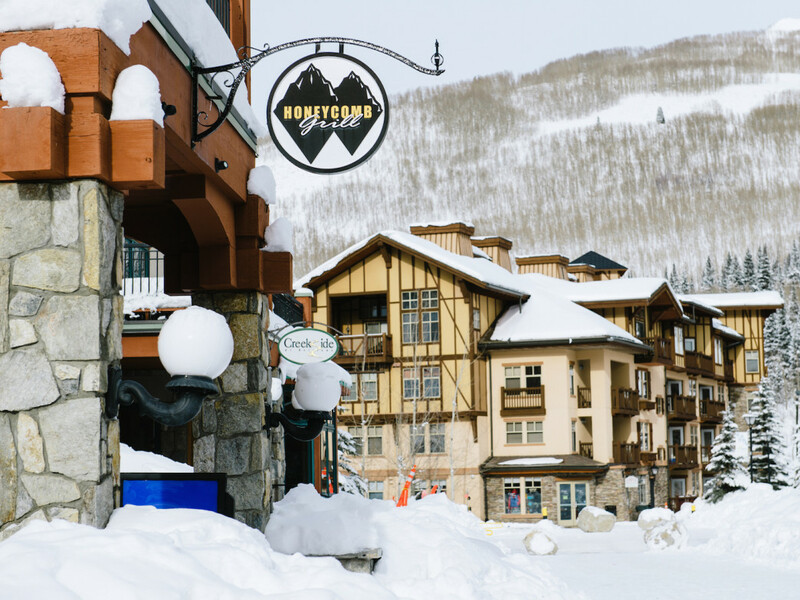 The Village is where you can grab an excellent lunch at Honeycomb Grill, then swing back through at the end of the day for a drink at the Thirsty Squirrel. And if you decide to stick around long enough for a proper dinner, St. Bernard’s will knock your socks off. Lunch at Honeycomb Grill is usually a quiet, unhurried affair. It’s sit-down dining but the atmosphere and menu are unpretentious. The soup of the day is always savory and interesting, and the menu fare ranges from margarita pizza to homemade chili fries. 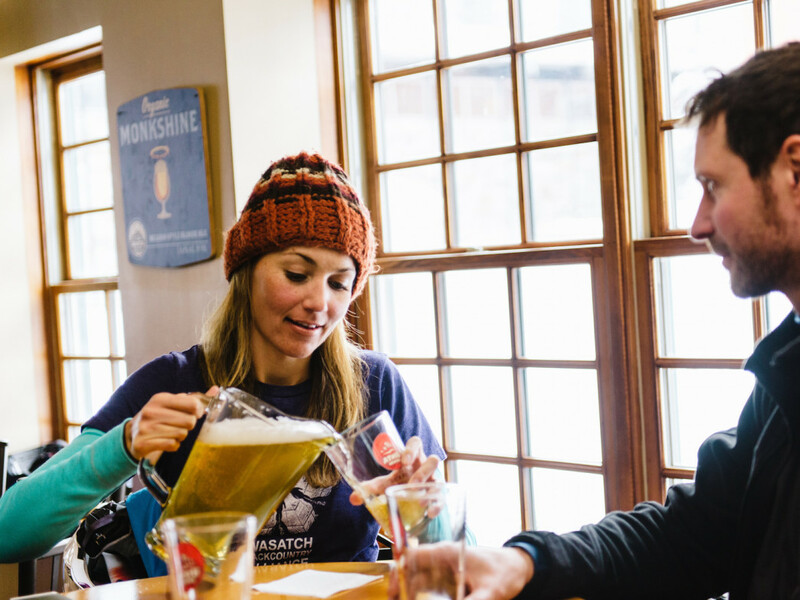 A nice assortment of beer options can help your legs forget they’re tired. And the views of the ski runs outside the restaurant’s large windows will remind you why you’ll rally to go back outside. After a few afternoon runs through the Sunrise trees and powdery pockets under the Eagle Express lift, it’ll be time to head back into the village. You can belly up at the Thirsty Squirrel for a solid assortment of drink options and simple bar fare. This bar is the main hangout for everyone from lifties to condo guests, canyon-dwellers, and patrollers with their avalanche dogs. Things get busy around the end of the ski day, then simmer down for the evening. If you fancy sticking around in the village for dinner (and maybe if you brought a clean sweater to put on with your ski pants), St. Bernard’s is well worth the splurge. It’s one of the best fine-dining restaurants in the state, yet since it isn’t heavily marketed, few people know about it. It’s nestled on the ground level of The Inn, looking out at the slopes where snow groomers’ headlights illuminate the snow against the starry evening sky. St. Bernards’ crackling wood fireplace amps up the cozy alpine feel even more. It’ll lure you into indulging in a fine cheese plate and unforgettable risotto with a bottle of wine that’s rather more pricey (and amazing) than your usual weekday fare. 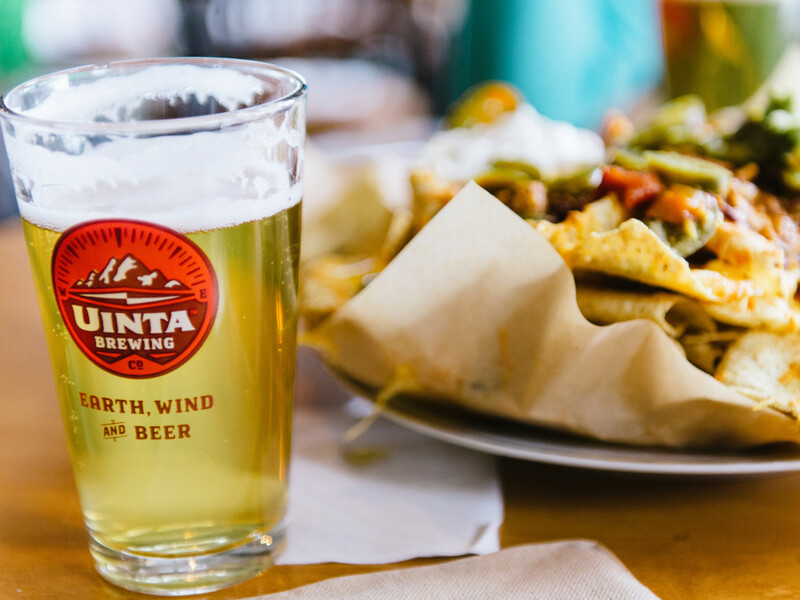 While nachos at the Thirsty Squirrel would successfully stave off post-ski starvation, it’s special experiences like a dinner at St. Bernard’s that you’ll remember always. It’s the perfect way to cap off an extraordinary Solitude ski day.